Errico Malatesta, one of the most prominent figures in the anarchist movement that flourished in Italy in the late 19th and early 20th centuries, was born on this day in 1853 in the province of Caserta, in what is now Campania. A committed revolutionary who was arrested for the first time at the age of 14, he spent more than 10 years of his life in prison and about 35 years in exile. Apart from his activity in his own country, Malatesta helped organize anarchist revolutionary groups in several European countries, as well as in Egypt, and in North and South America, including Argentina, where he helped bakers form the country's first militant workers' union. Born into a family of middle-class landowners in Santa Maria Capua Vetere in what was then the Kingdom of the Two Sicilies, Malatesta was arrested aged 14 for sending an "insolent and threatening letter" to King Victor Emmanuel II. Although he would become closely associated with the Russian anarchist Mikhail Bakunin, Malatesta drew his first inspiration from Giuseppe Mazzini, the Italian revolutionary who was a driving force in the Risorgimento movement that culminated in the unification of Italy in 1871. He studied medicine at Naples University until he was expelled in 1871 for taking part in a demonstration, after which he joined the Naples section of the International Workingmen's Association, A year later, met Bakunin for the first time at a congress of international socialist, communist and anarchist groups in Switzerland. Malatesta's ideals were based on the abolition of all government and all organisations that seek to create and impose laws, plus the end of private ownership of land, raw materials and work tools. He proposed that societies function through the establishment of collective associations of producers and consumers working for the common interest and that patriotic nationalism and rivalries between countries be abolished by the removal of international borders. To achieve these aims, however, required the overthrow of state rule and capitalism, and Malatesta fervently believed this would be best achieved by armed insurrection, which is why he spent much of his life trying not always successfully to avoid arrest. 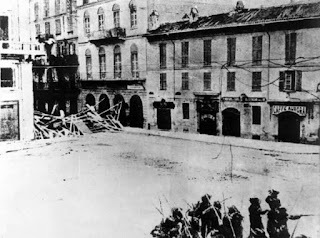 After being imprisoned twice for spreading internationalist propaganda, Malatesta joined with fellow Italian anarchist Carlo Cafiero and the Russian Sergius Stepniak and others 1877 in leading an insurrection in the province of Benevento in Campania, which briefly gave them control of two villages, Letino and Gallo, and was greeted with approval by many residents, especially when they made a bonfire of taxation records. However, they were soon captured by government troops and held in custody for 16 months. 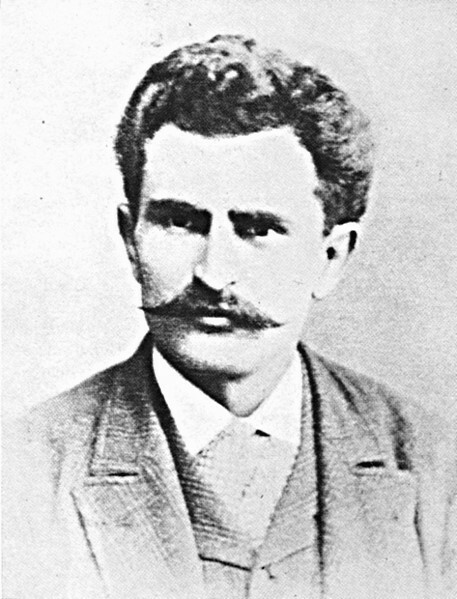 By the time Malatesta was released the state's attitude to anarchism had hardened, particularly after an assassination attempt against King Umberto 1, and after a year of invasive surveillance he decided to live in exile. 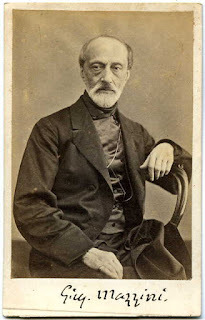 He spent time in Egypt, Switzerland, Romania and France before establishing a home in London in 1881, to which he would periodically return for the next 40 years. His periods in Italy were usually terminated by arrest, notably in 1898 when he was drawn to join a growing anarchist movement among dockworkers in Ancona. During street fights, he was quickly identified by police and spent much of 1898 and 1899 in jail, unable to participate in a period of prolonged social upheaval in Italy characterised by food riots, a massacre of demonstrators by troops in Milan and the beginnings of Fascism. Malatesta was ultimately sent to a prison on the island of Lampedusa, but escaped and returned to London, where he lived a relatively quiet life as an electrician but gained notoriety by supplying oxyacetylene cutting equipment to a gang of Latvian revolutionaries so that they could break into the safe at a jewellers in Houndsditch. The Houndsditch robbery, which resulted in the deaths of three policemen, led indirectly to the Siege of Sidney Street, where two of the robbers were tracked down and eventually killed at a house in Stepney. Malatesta's cutting gear is on permanent display at the City of London Police Museum. After the First World War, Malatesta returned to Italy for the final time. Soon arrested and imprisones again, he was released just before the Fascists came to power. However, Malatesta then defied Mussolini's ban on independent newspapers by publishing the journal Pensiero e Volontà - Thought and Will. The publication was closed and Malatesta placed under house arrest. He spent his final years earning a living as an electrician. He died in Rome from bronchial pneumonia in July, 1932, aged 78. Santa Maria Capua Vetere, by which the oldest part of the city of Capua, north of Naples, is known, is notable for being the site of the second largest of all known Roman amphitheatres, with a length of 170 metres (560ft) and a width of 140m (460ft). Only the Colosseum in Rome (188m by 156m) is bigger. 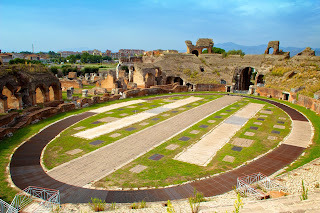 Built in the time of Augustus, restored by Hadrian and dedicated by Antoninus Pius, the amphitheatre originally had 80 Doric arcades of four stories each, but only two arches now remain. The interior is better preserved and beneath the arena is a complex system of subterranean passages. The island of Lampedusa, where Malatesta was imprisoned before escaping to London in 1899, is the southernmost part of Italy. It is part of the Sicilian province of Agrigento, although the nearest landfall is Tunisia, about 113km (70 miles) away. It has a historic claim to be part of Malta when that island was a British colony. Lampedusa's Rabbit Beach was once voted as the world's best beach by the travel website, Tripadvisor. In recent years, Lampedusa has become a primary European entry point for migrants from Africa.